Stop squinting at your SQL! 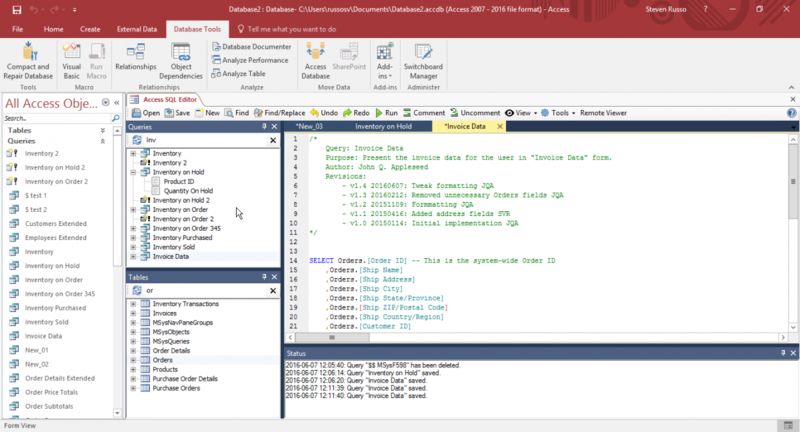 Access SQL Editor is an add-in to Microsoft Access that allows you to save your SQL with syntax highlighting and formatting, and has advanced tools such as automatic code formatting and regex search-and-replace. Buy now, or get started with your free trial by clicking below!